Nokia teases X2 for next week? Wow, Nokia is really digging Android aren’t they? Yesterday, we’ve seen a division of Nokia that is not owned by Microsoft launches the “pre-beta” for the new Android Launcher, the Z Launcher. If you remember, a several months back, Nokia launched the Nokia X runs Android Open Platform with heavy Nokia/Microsoft skin on it. Although we heard about how unhappy Microsoft was with this product, and rumors pointed to the end of this line as soon as the deal is done. Well, it doesn’t seem that way as Nokia puts up a teaser that hints at a new Android hardware release…? Let’s review what we’re known so far: Nokia Devices and Service (or now know as Microsoft Mobile Oy.) has put a teaser on the Conversation website, with the message “Summer brings out our inner glow,” with the tag-line for the teaser ” Green with envy.” We also have a timer for this even calculated to stop on Tuesday morning, and an image of what seems to be some sort of device in green (above). Does anyone know what this is all about? Probably not, but we have some opinion. 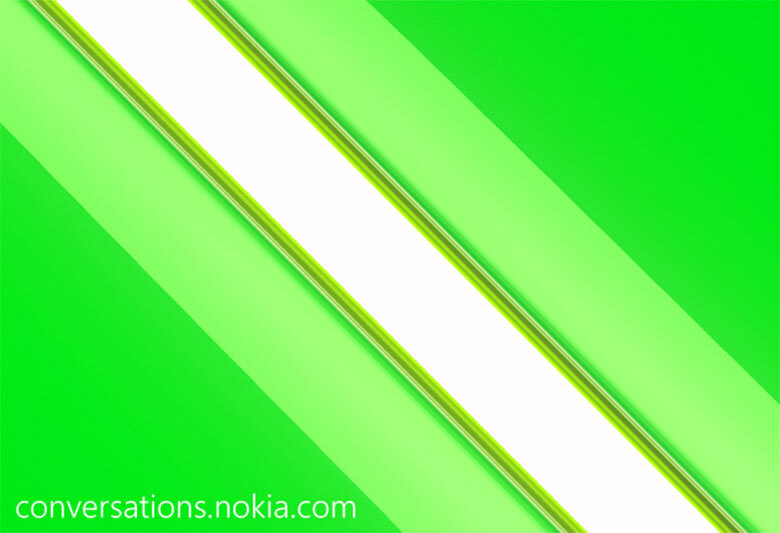 Well, the green of the photo above as I said, seems to be a part of a particular hardware, the green color is similar to the color that Nokia teased for the Nokia X1, so could this be the Nokia X2? Maybe, but we’re not sure, because of two reasons: 1-Microsoft (pretty self-explanatory, isn’t it? ), 2-the fact that the X1 launched not long ago. Okay folks, let’s get out of the box a little bit, “glow” and “green with envy,” Does it necessary point at Android? No. Maybe hint at new color options for current device? Stay tune for more update, as usual, Nokia always leaves clues that hint about what we will see at their event.